Judge Alicemarie Stotler’s ruling came in a lawsuit brought by L.A. 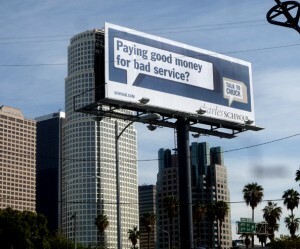 Outdoor Advertising in 2008 attacking the city’s ban on new off-site advertising signs as unconstitutional violations of the 1st and 14th Amendments. The lawsuit came on the heels of citations issued by the city after the company put up three 14 x 48 ft. double-side billboards on private property less than 100 ft. from the freeway without obtaining the required sign permits. 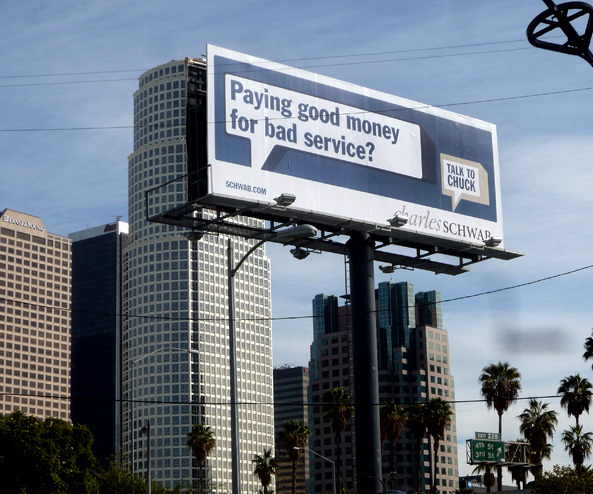 In 2007, the company had put up yet another unpermitted billboard along the freeway in the same area. Judge Stotler didn’t rule on the constitutional claims, saying the fact the company knowingly put up the billboards in violation of the ordinance’s height limit meant it didn’t have standing to challenge other provisions of the ordinance, such as it’s ban on off-site advertising and freeway-facing signs. According to building department complaints, the billboards were 54 ft. high, while the ordinance limits billboards to 42 ft. The owner of L.A. Outdoor Advertising is J. Keith Stephens, who earlier this year filed another federal court lawsuit challenging the city’s ban on supergraphic signs. That ban was upheld in May by 9th Circuit Court of Appeals, and the ruling was officially recorded with the U.S. District Court last week. In the past, Stephens has also filed lawsuits against his former employers, Regency Outdoor Advertising, and Regency’s attorney, Jeffrey Tidus, who was murdered outside his home last December in what police say appears to have been a targeted killing.